Css could be built and generated separately. Importing less from a React component is not a standard way but just a webpack loader&apos;s feature. Css-loader for webpack generates duplicate Css code for the build if the component is used more than one time. Each component has a style file with the same name, for example, component SimpleNav.js has style file named SimpleNave.less. Each feature has a style file named style.less which imports all necessary style files for pages and components. All feature scope common style is also defined in the file. 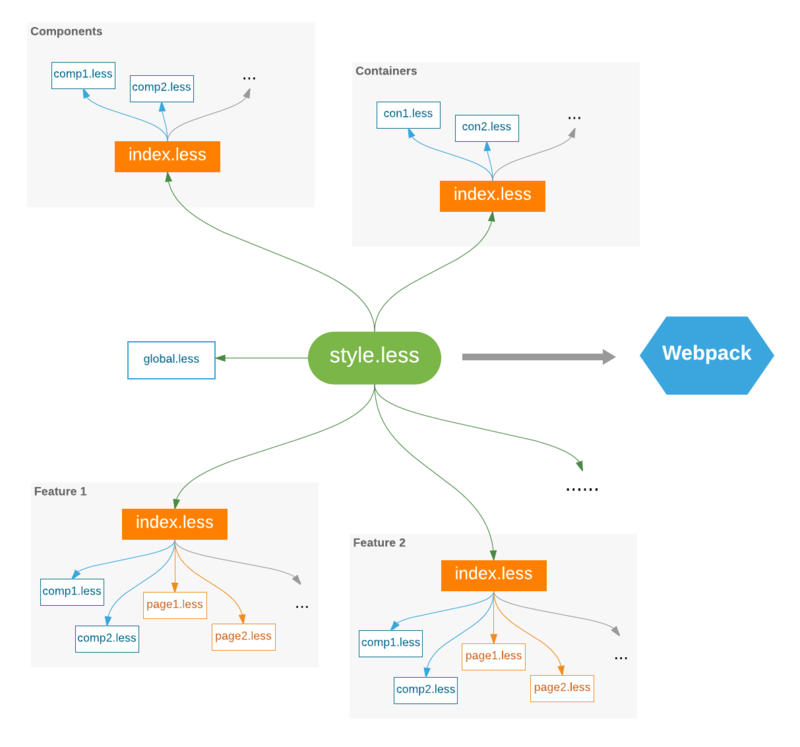 The src/styles/index.less is the entry style file which imports all feature&apos;s style.less and global.less. For other scenarios, feel free to use the way you like.